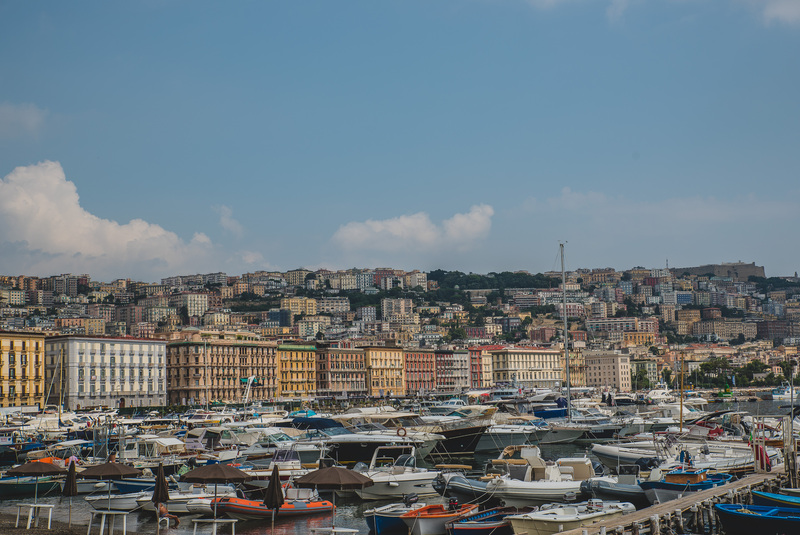 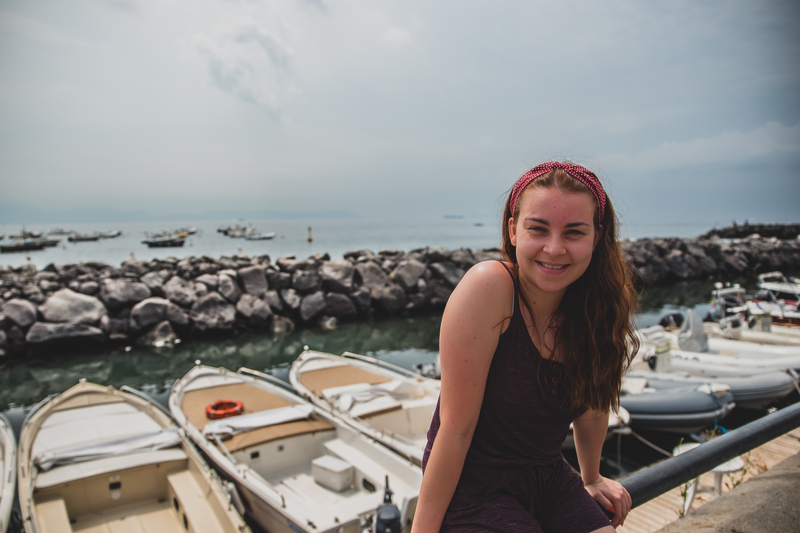 Stopping at the marina in Naples, we hopped off the bus to grab some pictures of the surrounding area for 15 minutes or so. 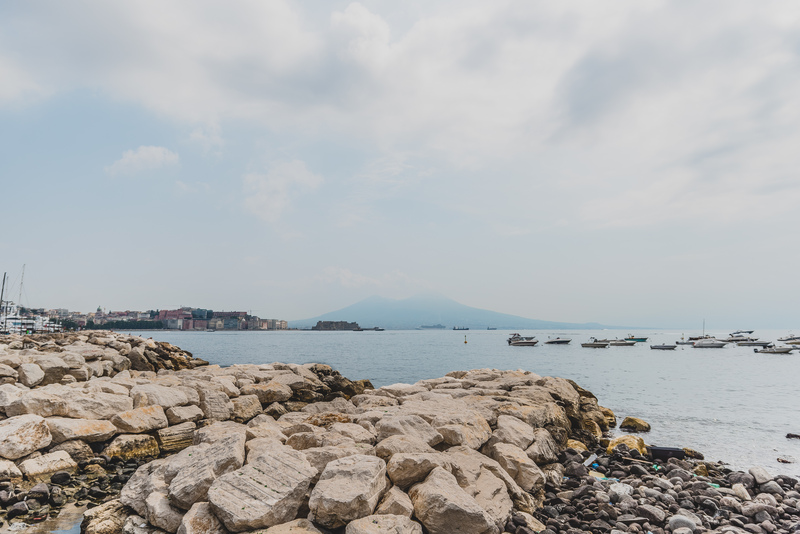 It would have been cool to spend some more time in Naples, but Pompeii was the main thing on the itinerary, so that’s where we headed. 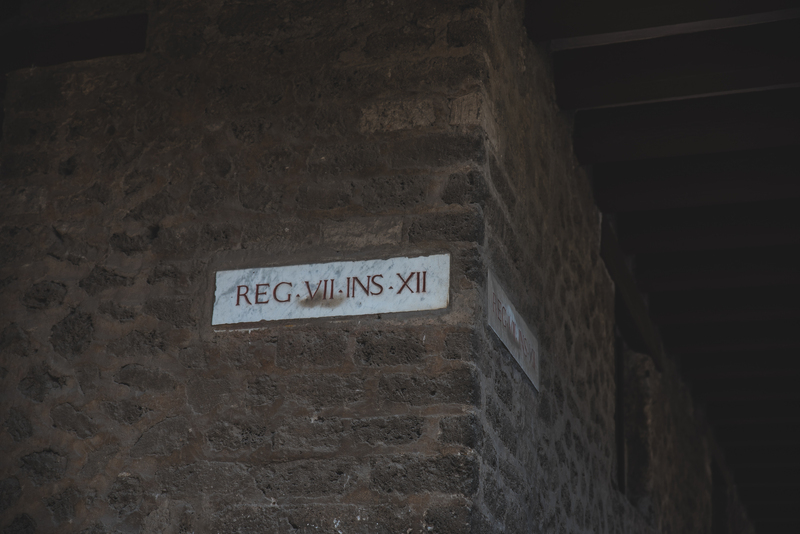 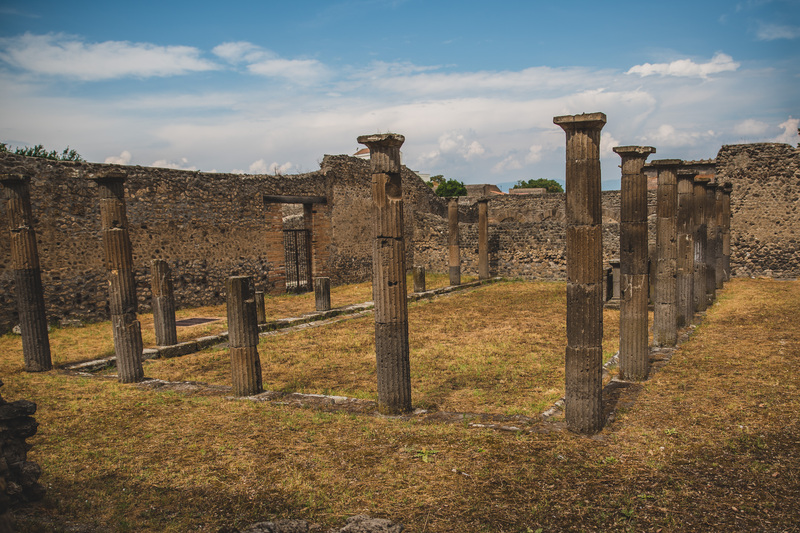 When we arrived in Pompeii, we were treated to a typical Italian style lunch at a nearby restaurant, and then once lunch was done, it was time to head to the entrance to Pompeii’s ruins and get our tickets. 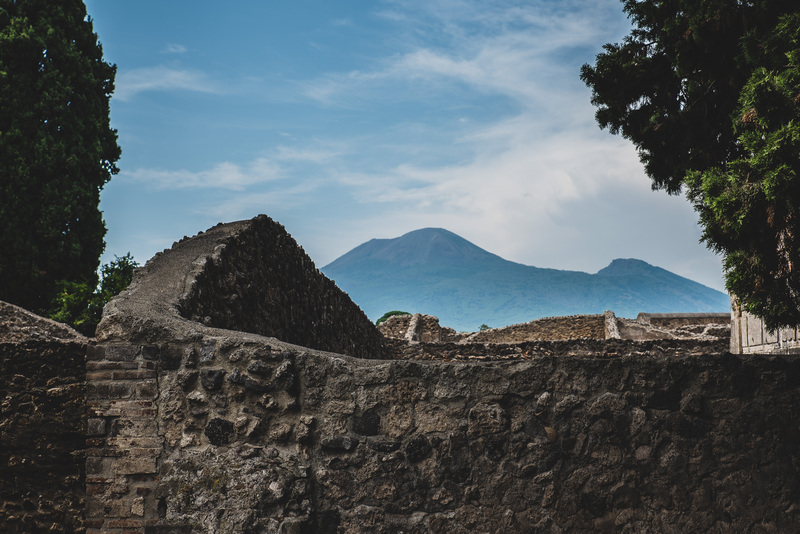 Our tour guide Juan Carlos who had been with us since departing Rome, now handed us over to Wilma, the craziest woman I’ve met wearing a poncho in 40 degree heat for no apparent reason, and she would guide us around Pompeii’s ruins. 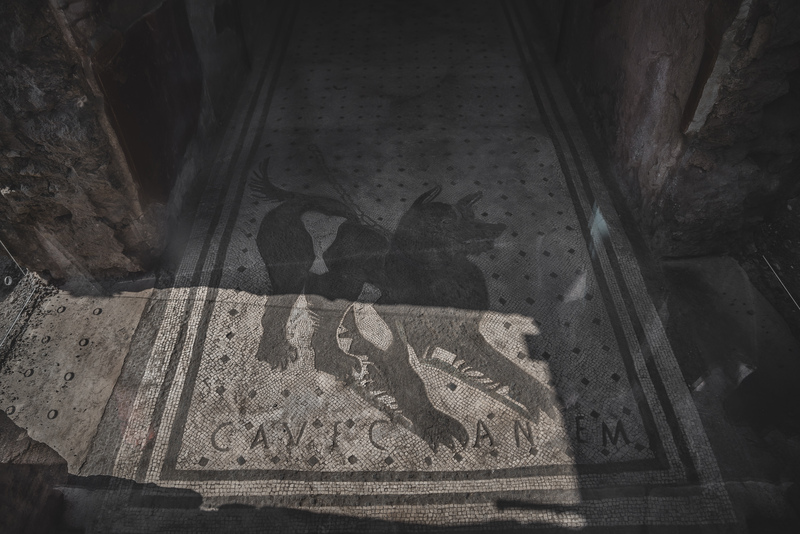 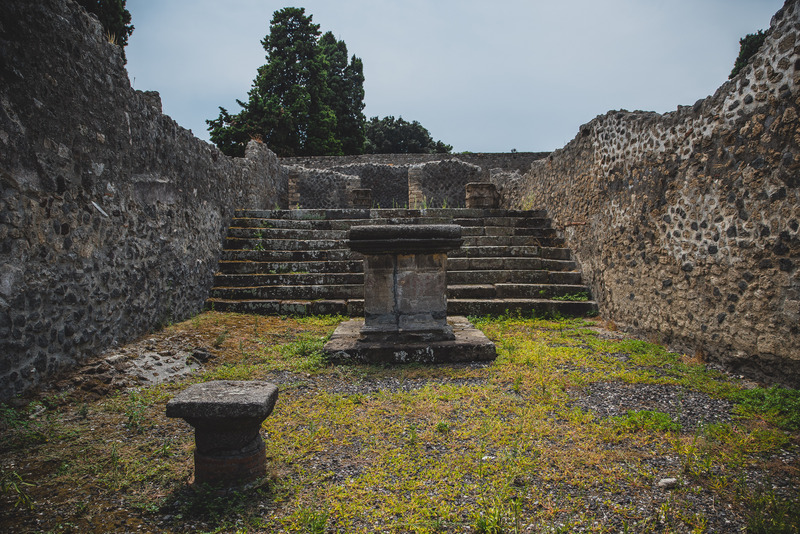 Upon entering Pompeii ruins, whether as a group, or just on your own accord, you’ll notice that there are thousands of visitors, and it gets a little crazy at times. 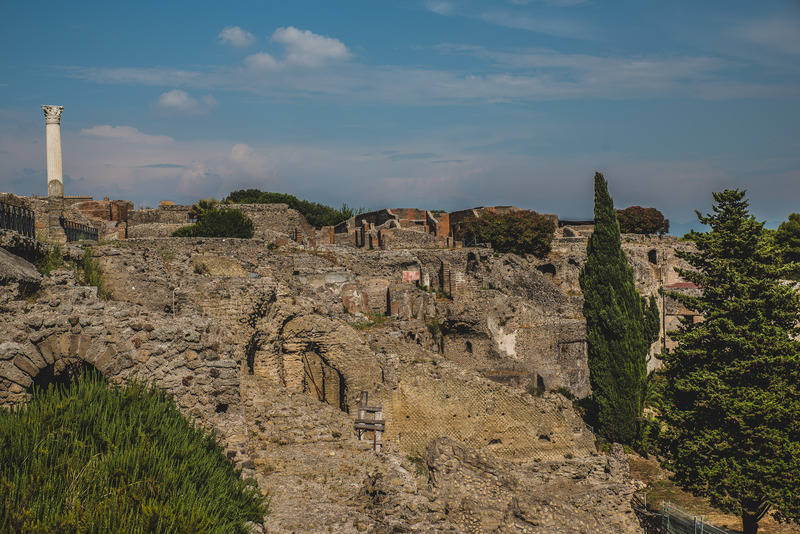 Luckily, our guide Wilma done her absolute best to make sure we seen all the main parts of the ruins that you read about in the news or see on TV, as well as taking us to some of her favourite areas that are a little less known. 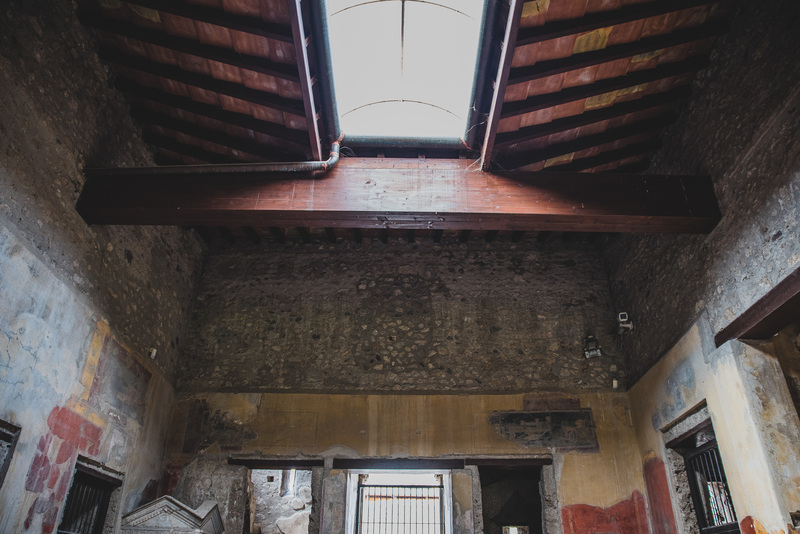 The next few images are from a large house that our guide took us too, which she said was one of her favourites and wouldn’t be so crowded, and rightly so, when we arrived, it was near empty, and pretty much stayed like this the whole time we were there. 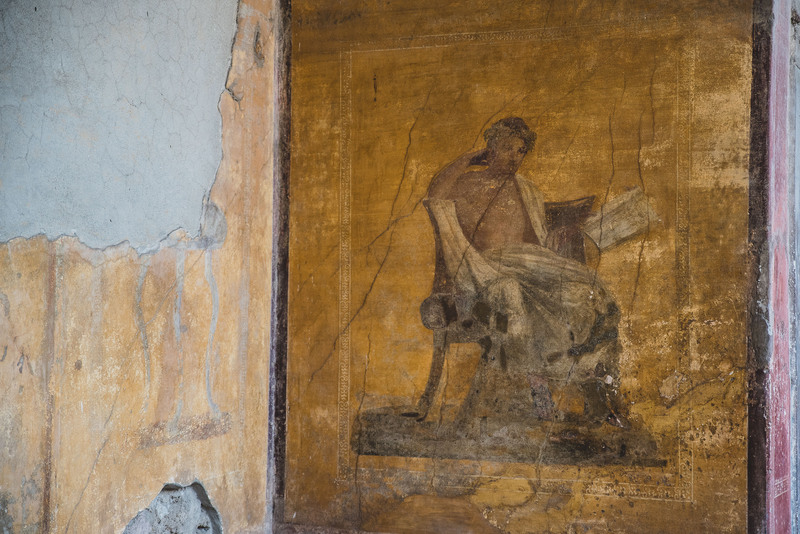 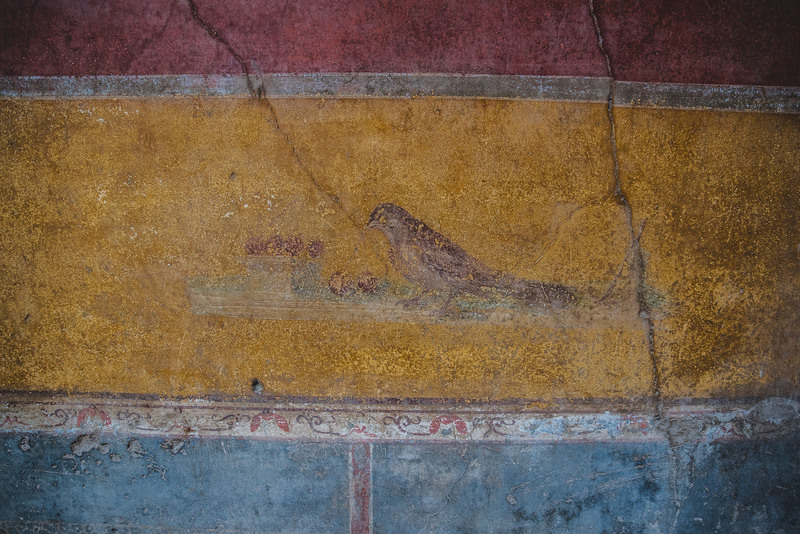 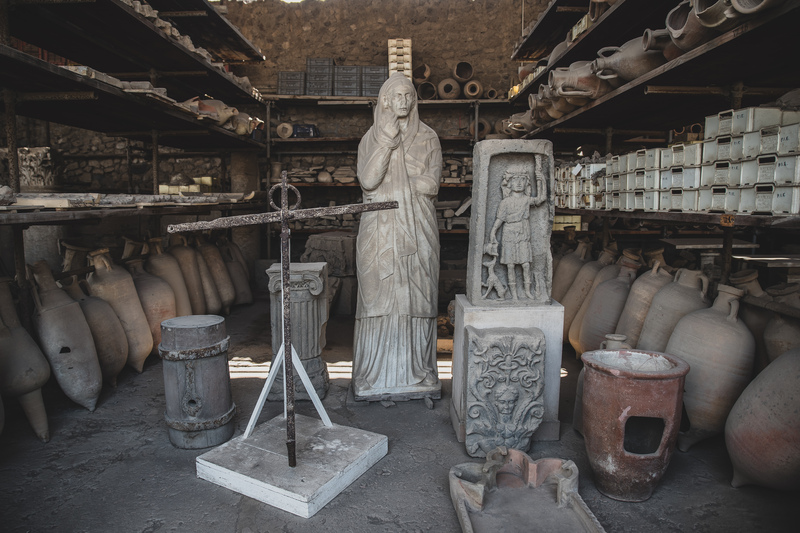 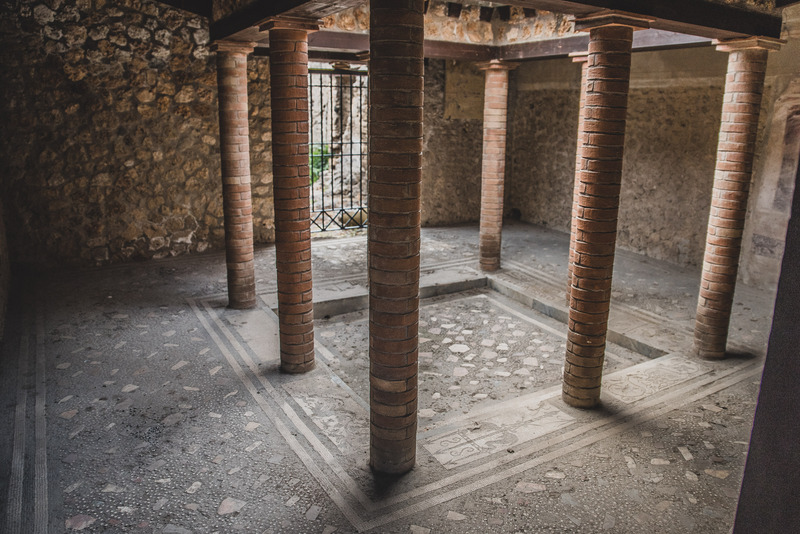 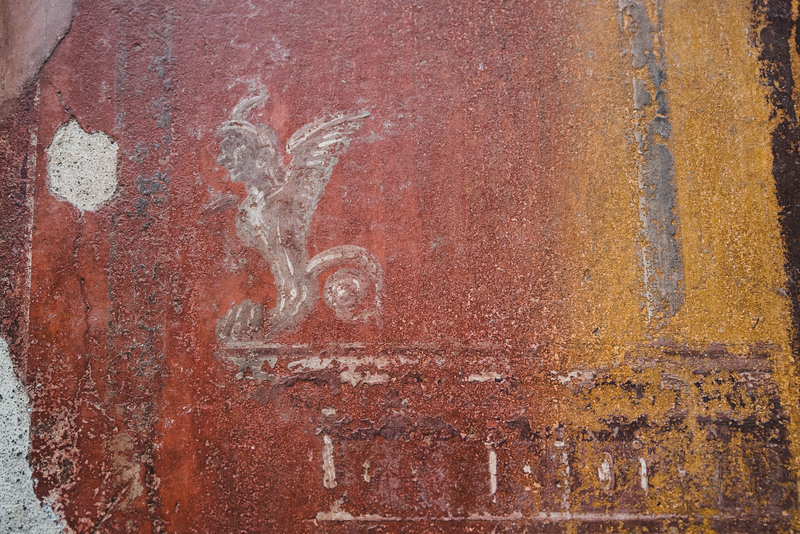 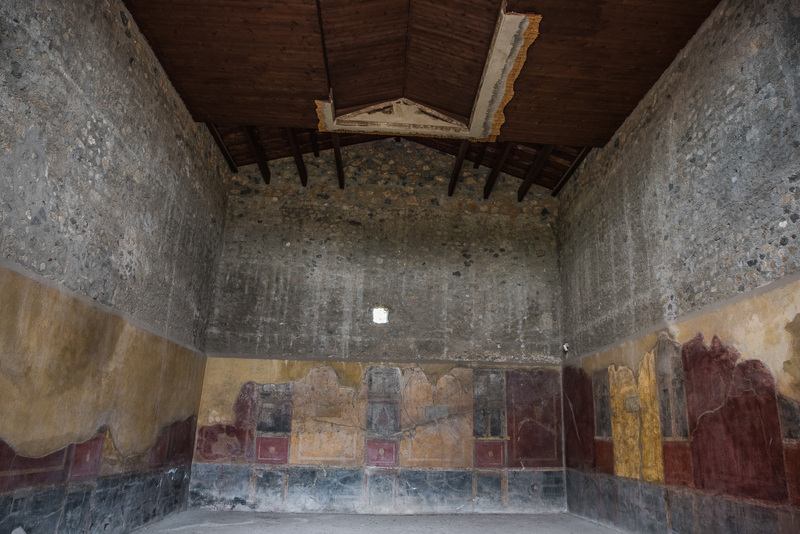 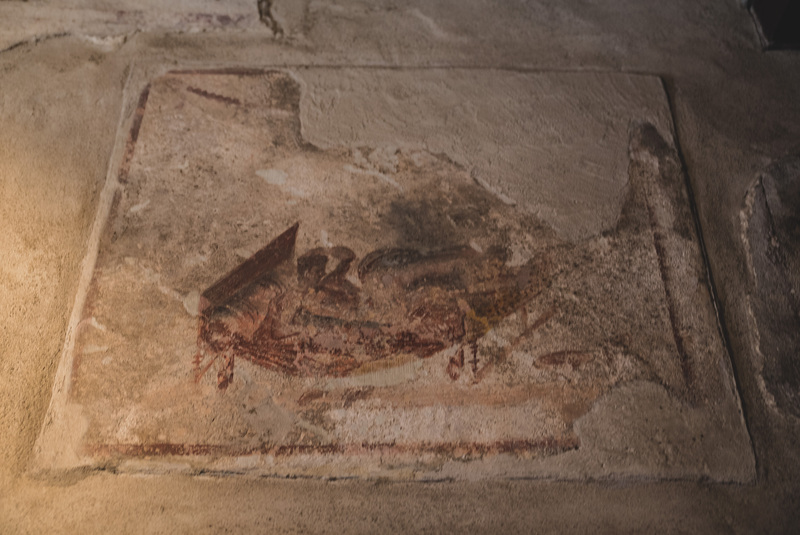 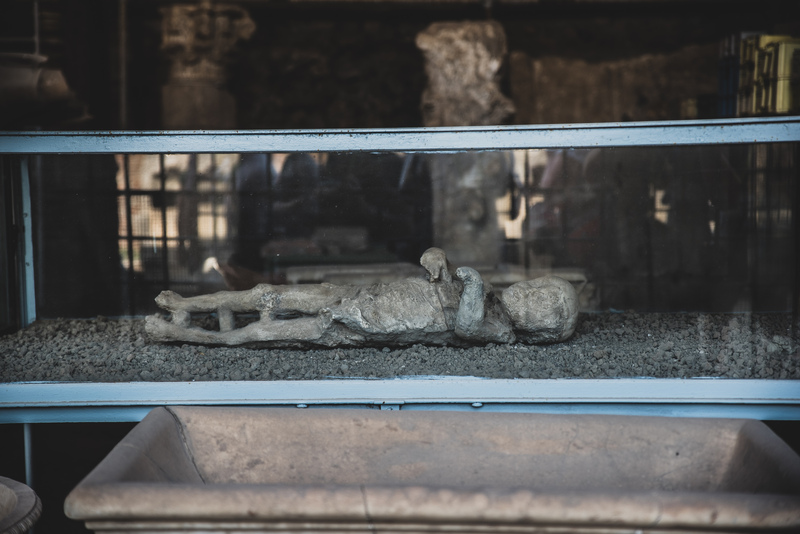 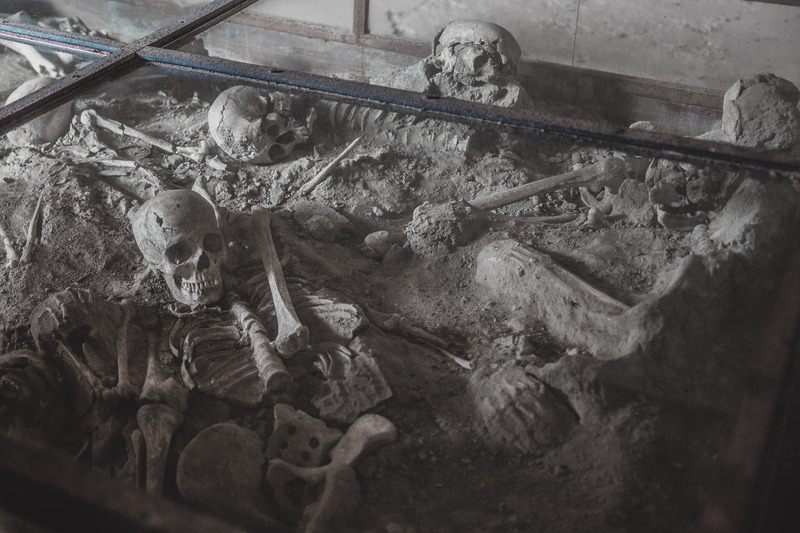 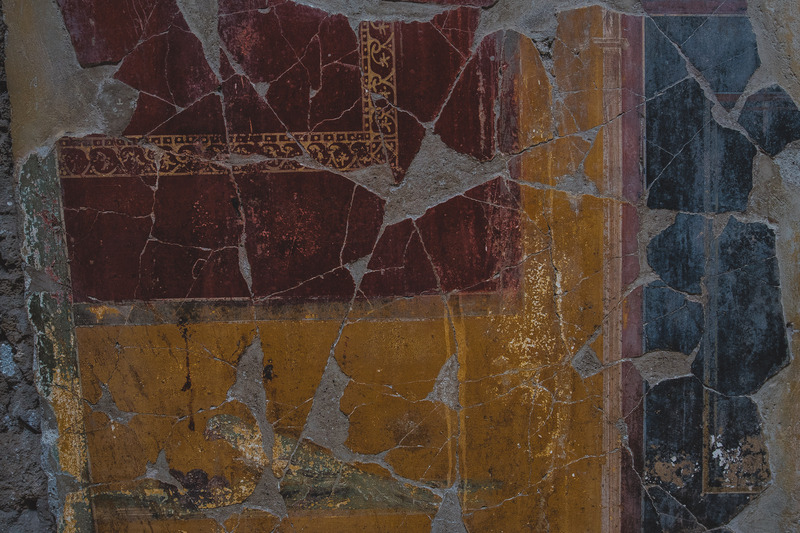 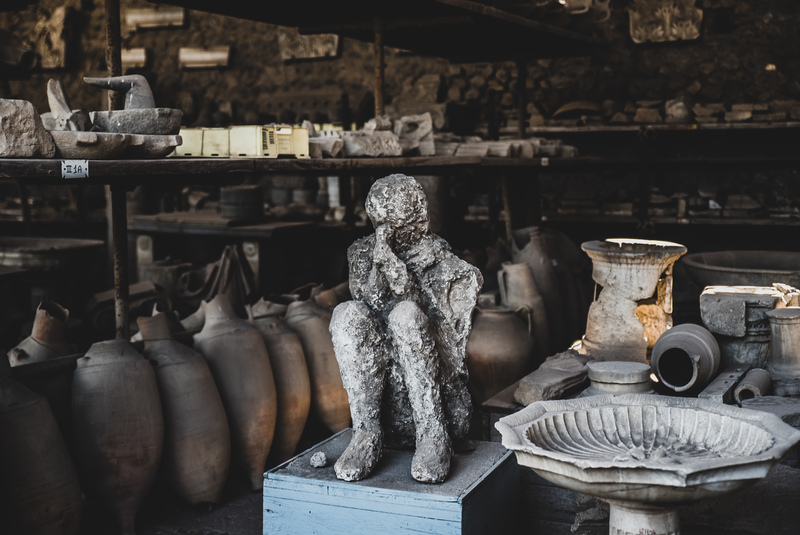 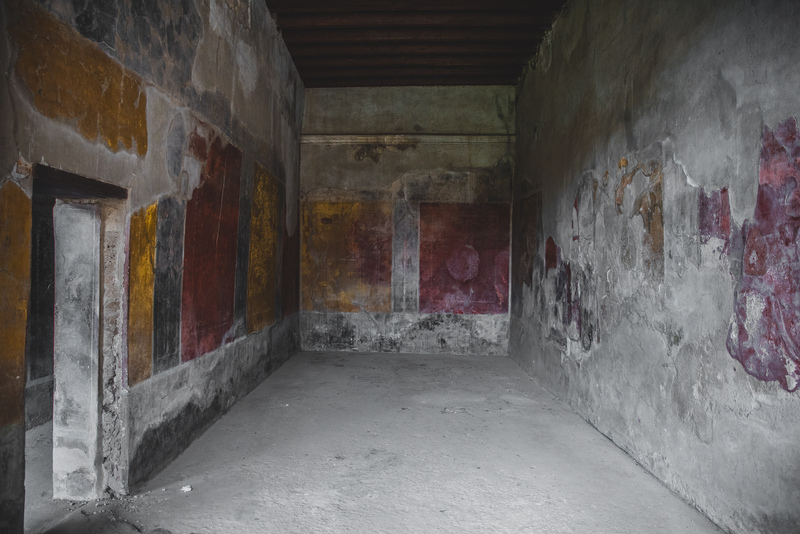 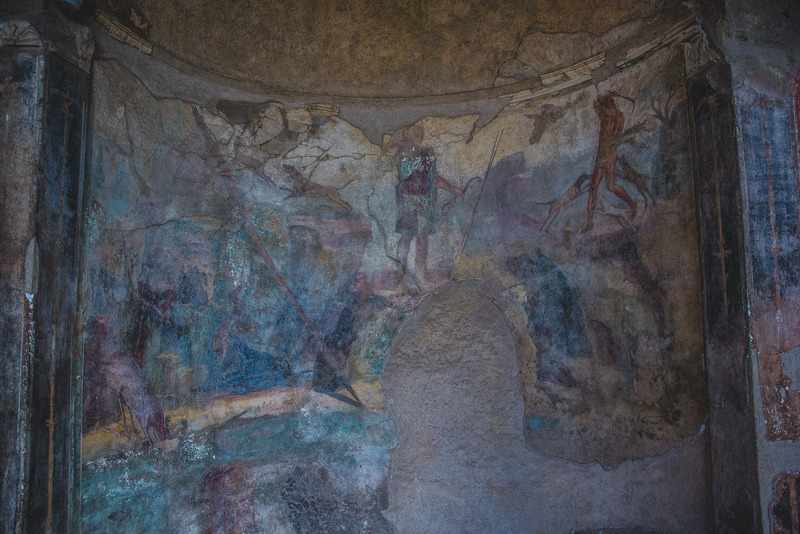 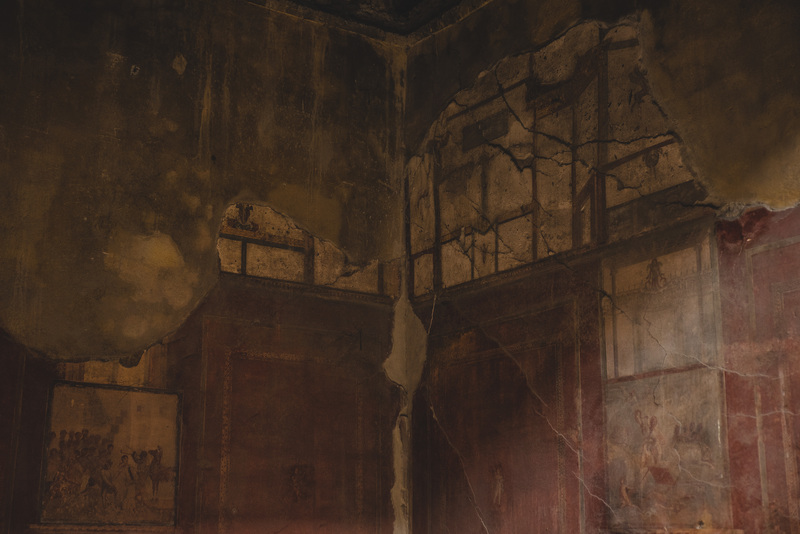 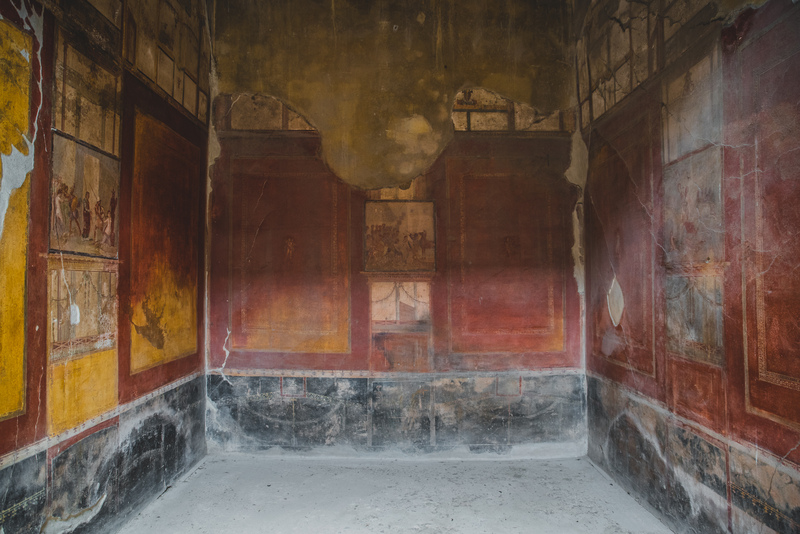 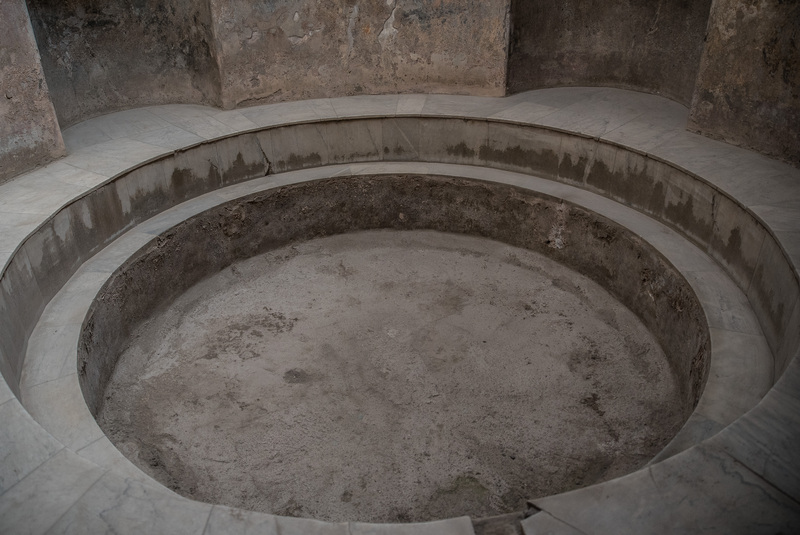 This gave us valuable time to learn about the history of Pompeii, as well as to check out the various rooms in the house in a lot more details, whereas we wouldn’t of had that opportunity if it had been overrun with other visitors. 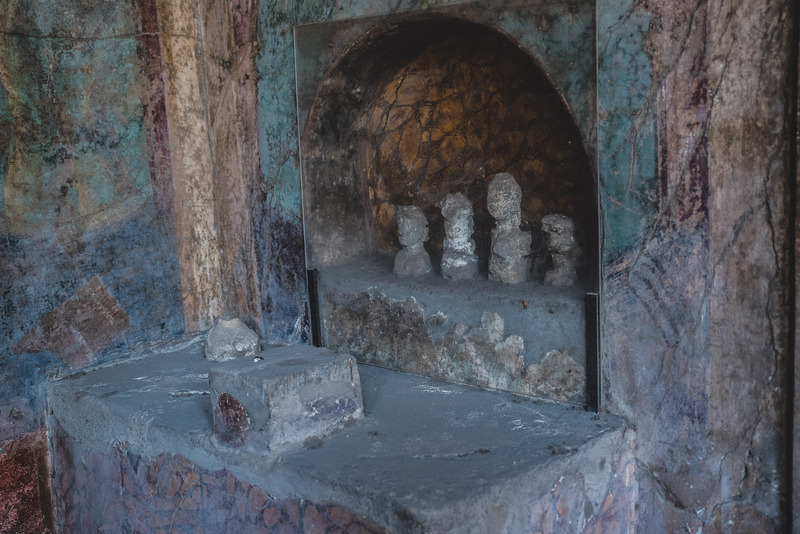 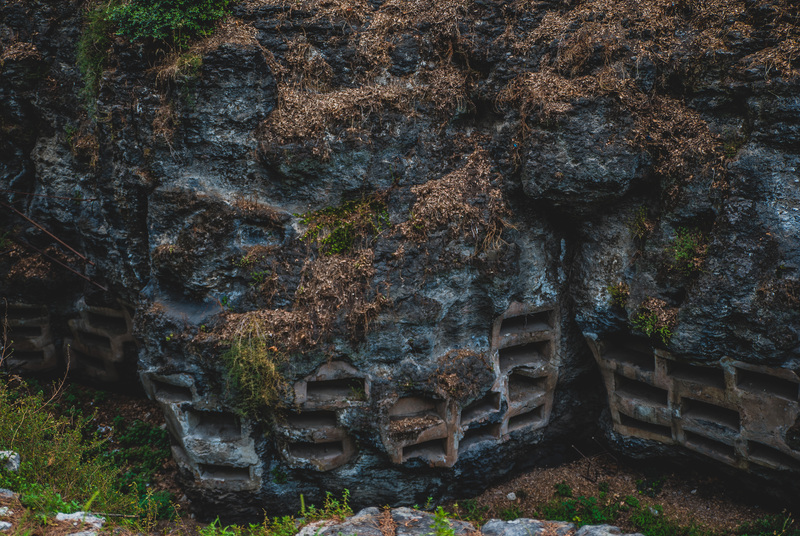 Even though we were aware that these were replicas, it’s still a pretty eerie thing to look at. 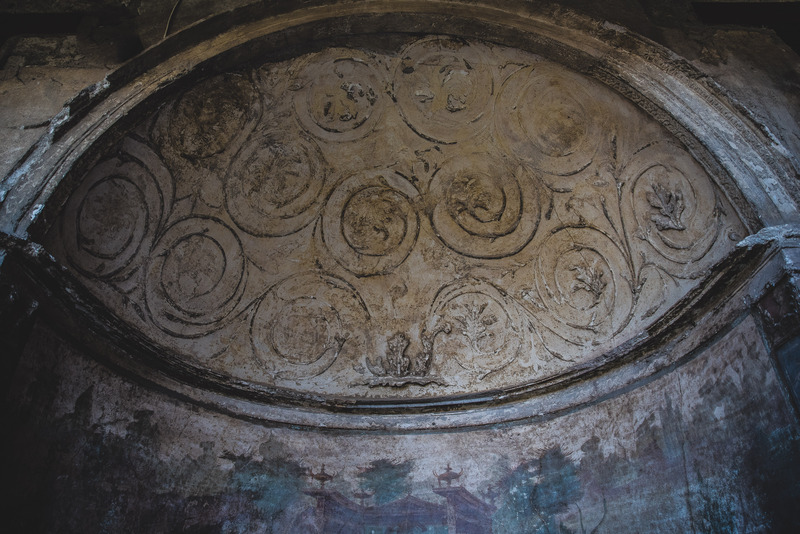 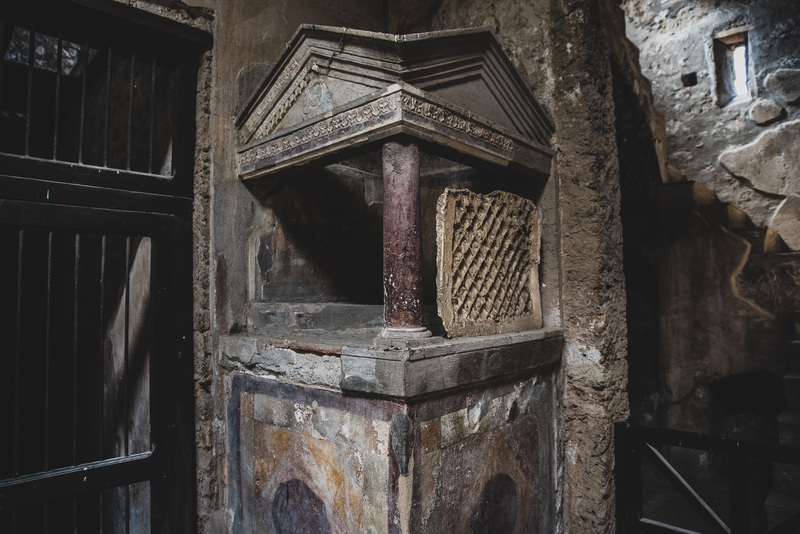 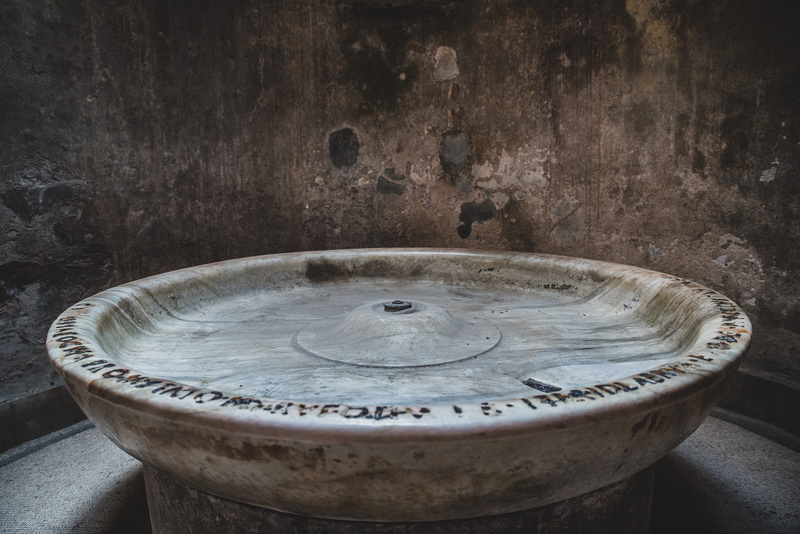 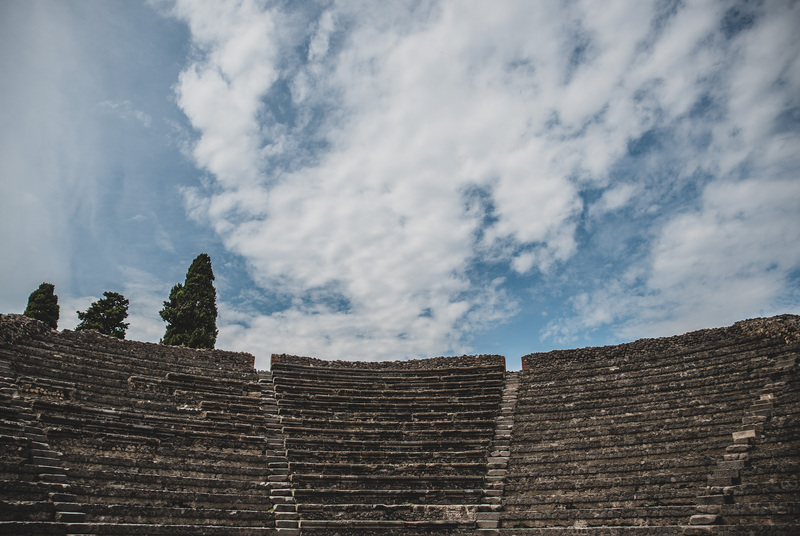 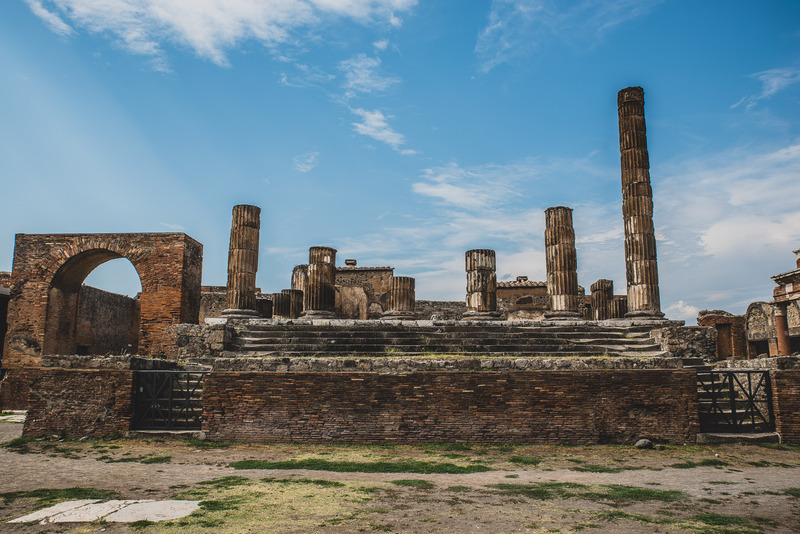 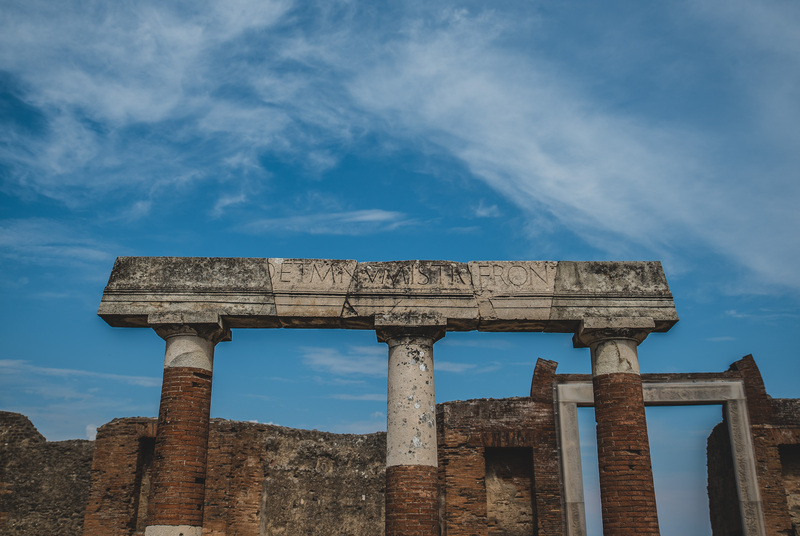 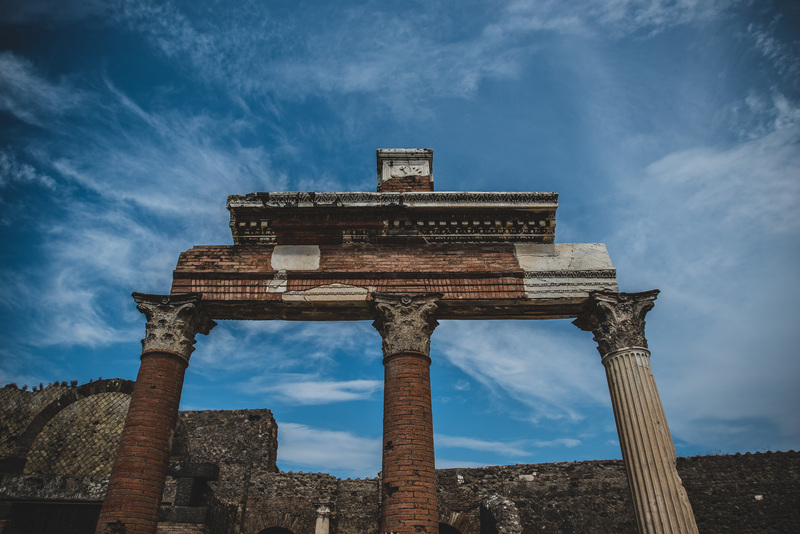 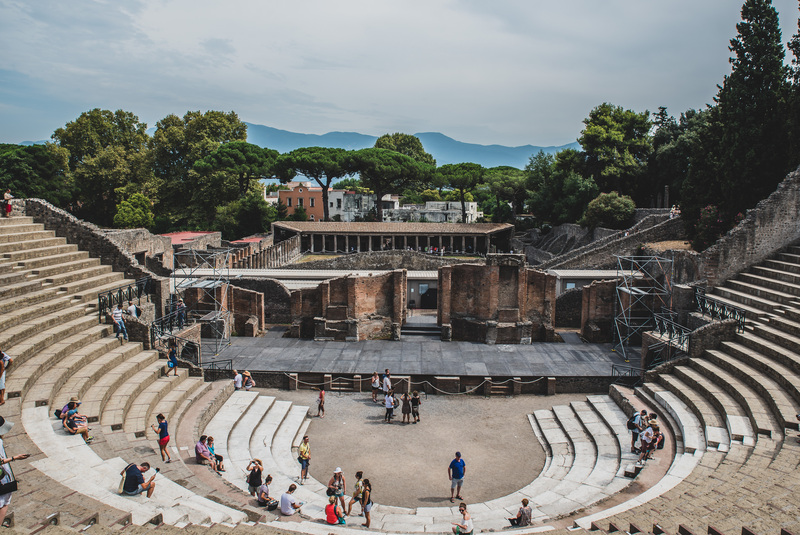 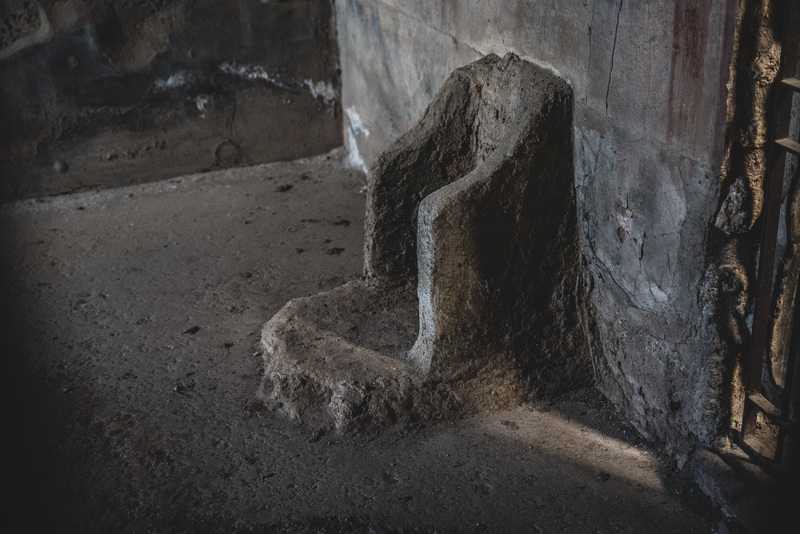 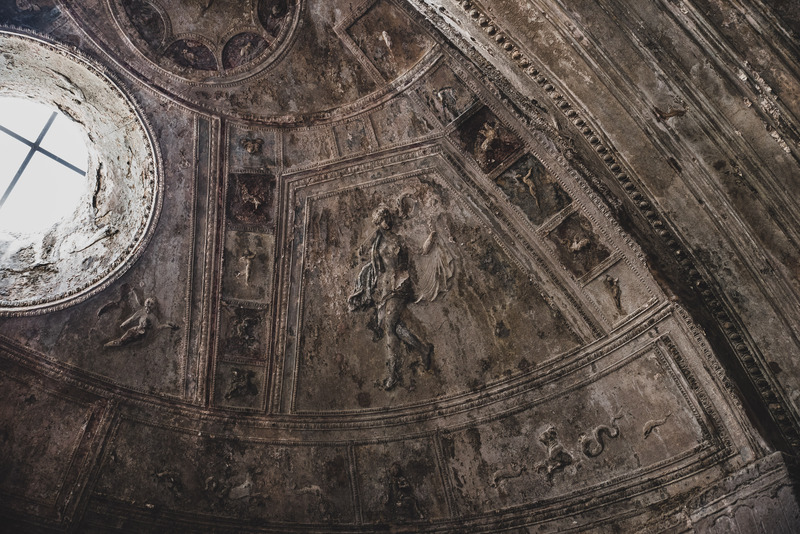 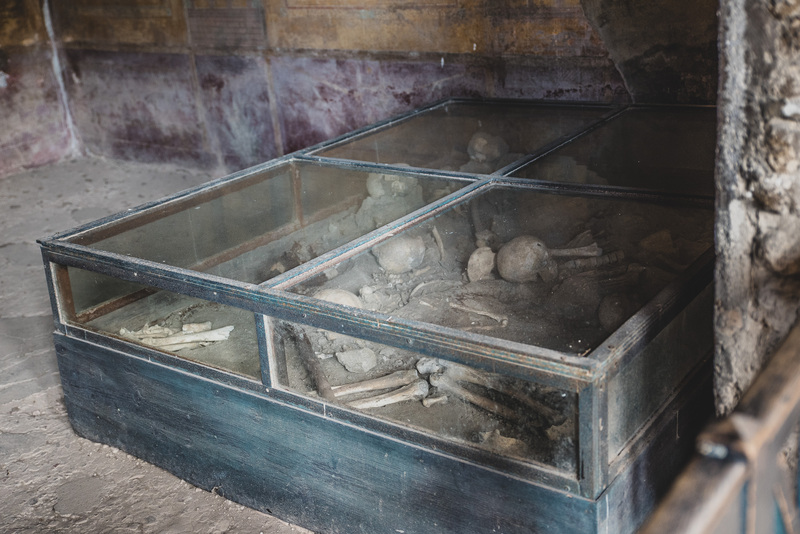 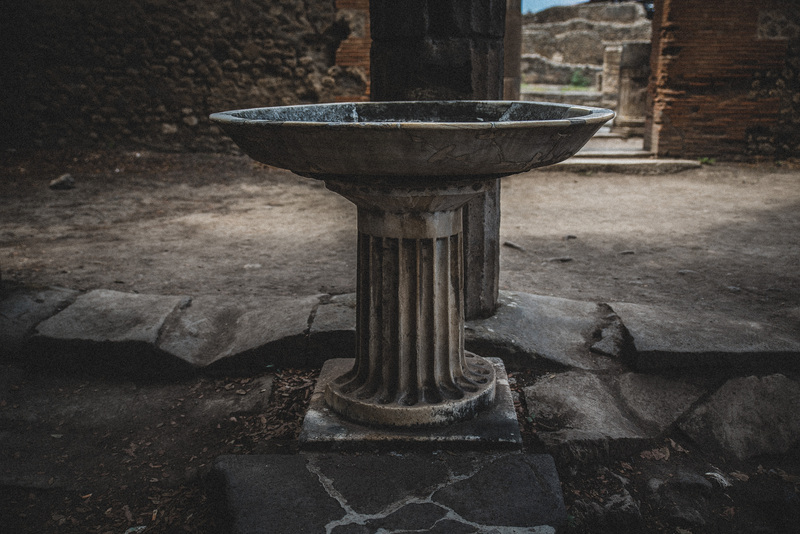 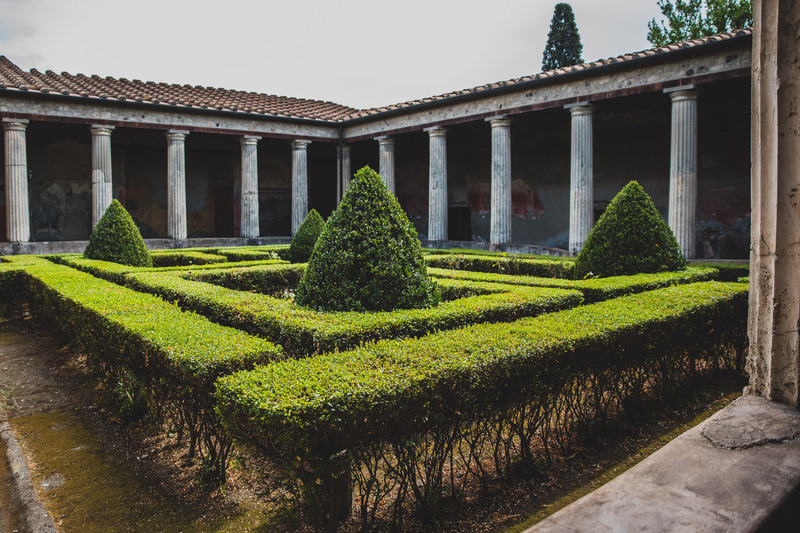 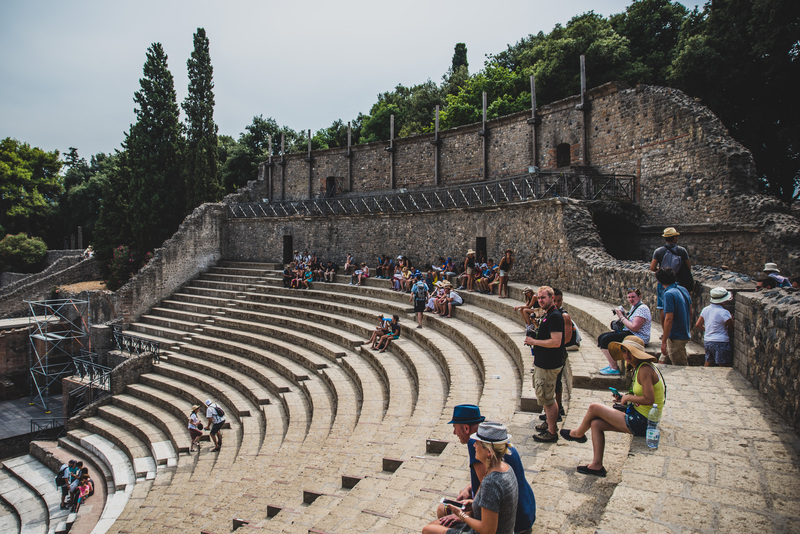 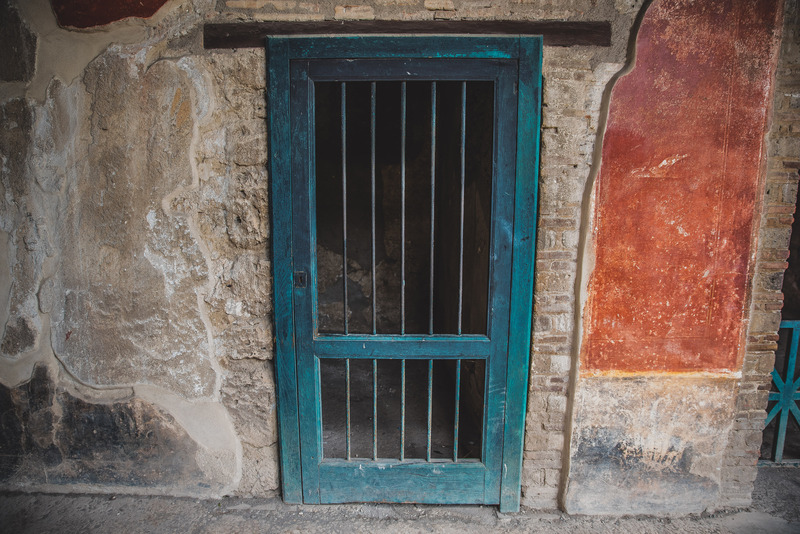 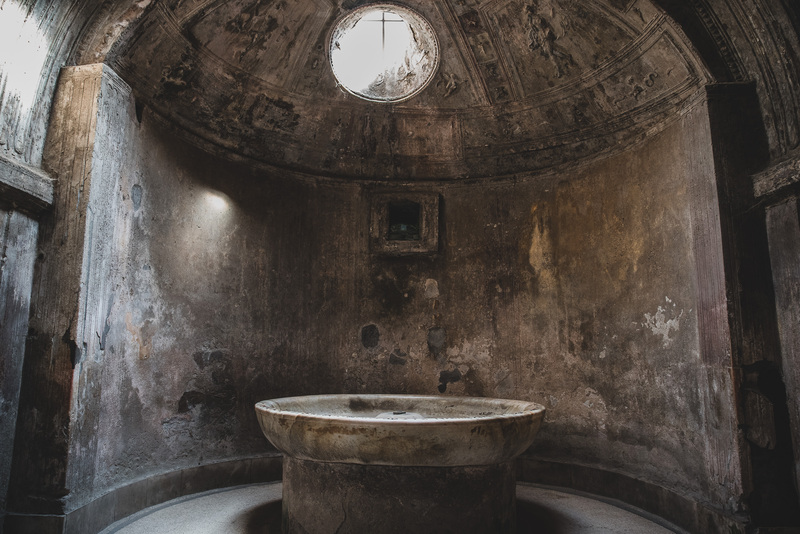 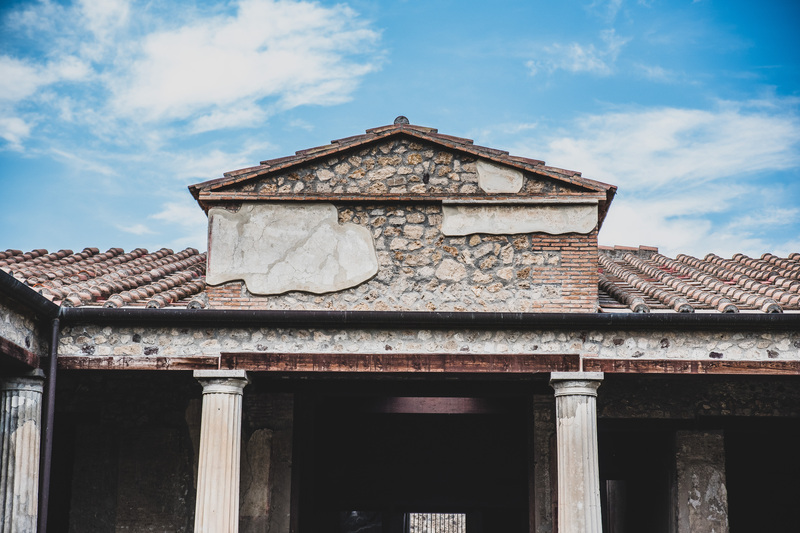 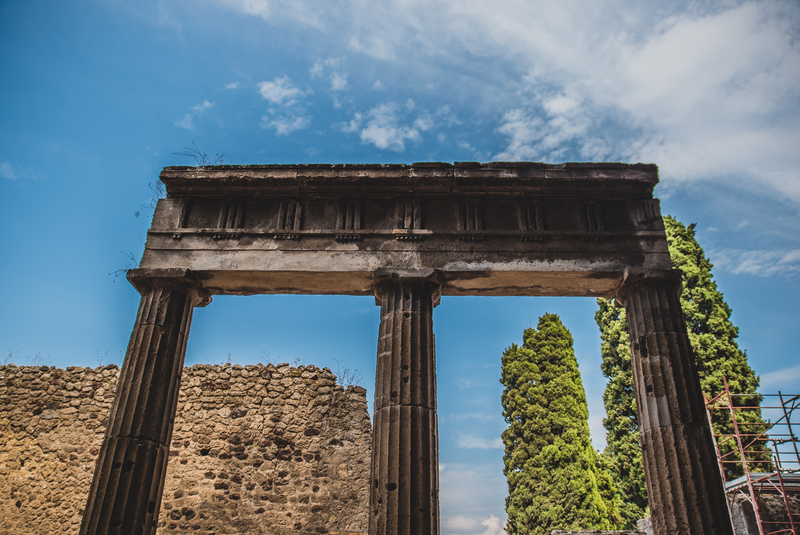 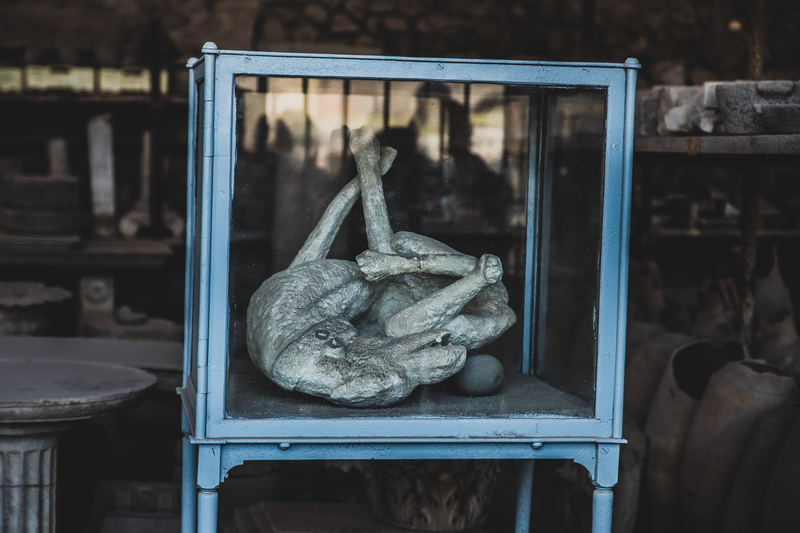 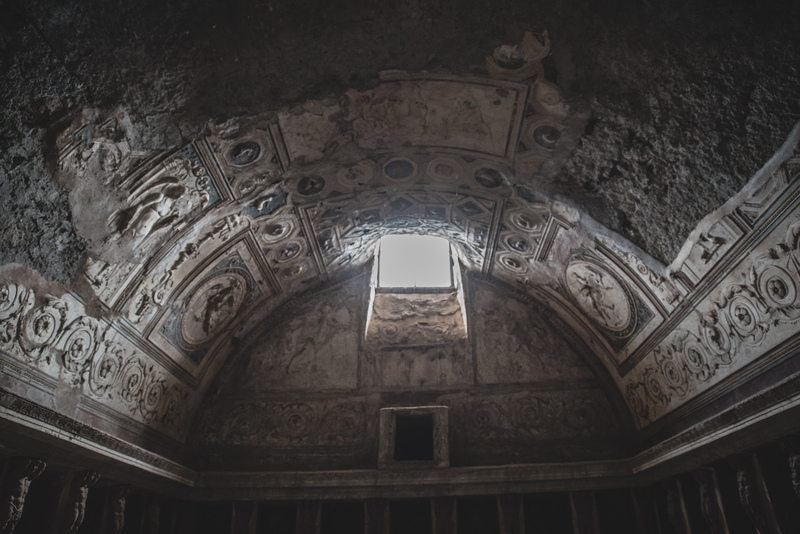 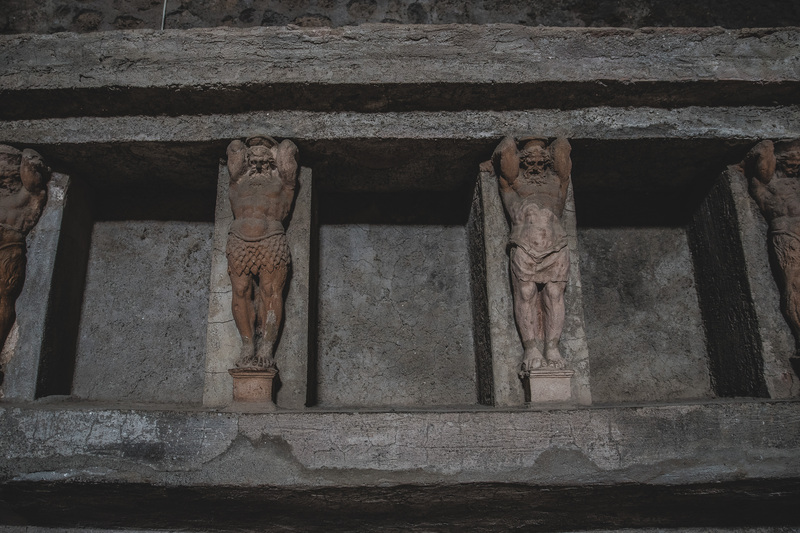 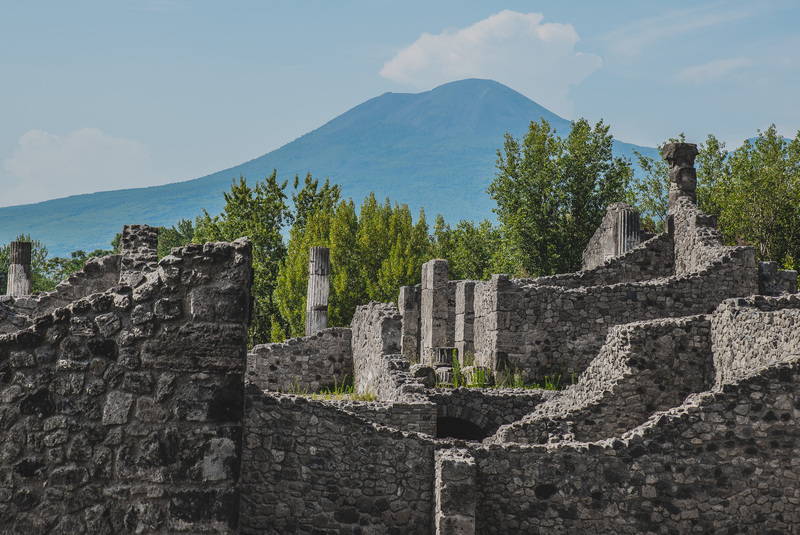 We thoroughly enjoyed our time in Pompeii, and would love to go back and explore more, and maybe even take a trip to Herculaneum to explore there. 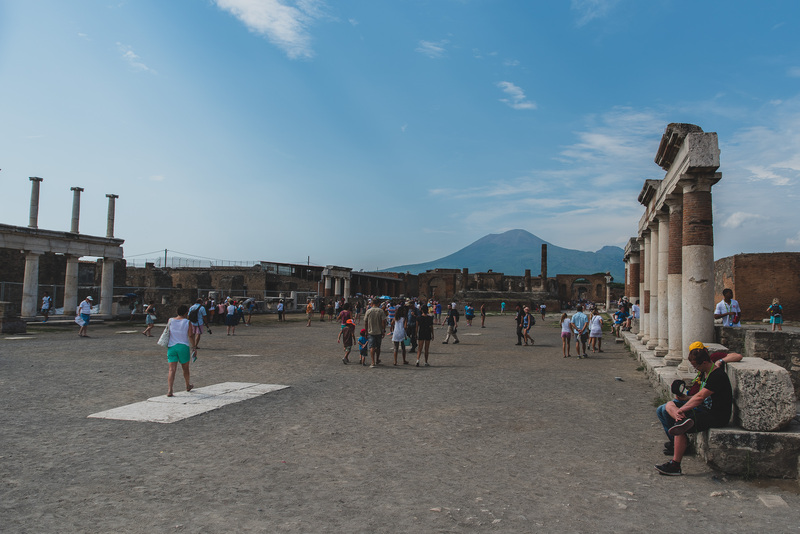 I’d have loved to have been able to take more or better pictures, but the biggest issue and one that I try my absolute best to avoid is other people in the shots, and if you ever make it to Pompeii, you’ll realise that this is a big challenge!